Make Your Logistics Self Controlled ! 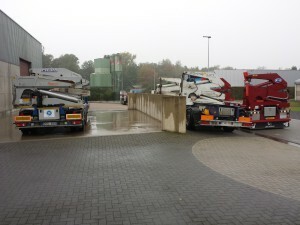 Beltruck bv has been founded in 2007 as a Dutch company operating from Susteren, Limburg. 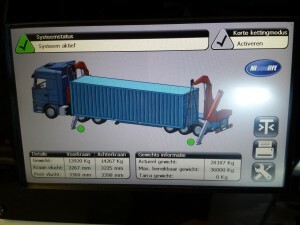 The mission is to deliver container sideloader systems for the Dutch market. Nicotech bvba based in Maaseik, Belgium started in the early 90s with a broader product range in the transportation and construction market, including container sideloader systems. Today all activities for development, manufacturing and sales of container sideloader systems are delivered from Beltruck bv. The facilities of Nicotech bvba at the Maaseik industrial area are used for housing these activities. The activities for sideloader systems started with maintenance and repair for local users of sideloader systems from a Swedish manufacturer. Later we became dealer for a New Zealand based sideloader system manufacturer. Currently Beltruck develops and manufactures container sideloader systems under its own brand: NICONLIFT. NICONLIFT sideloader design is based on modules that can be configured to suite most client requirements. Most important to mention is the unique CSSW safety and weighing system that is integrated in NICONLIFT sideloaders by default. With our quality we distinguish ourselves in the container sideloader systems market. High quality targets drive the basic configuration to include only a few options. We provide high availability is ensured throughout extensive usage to our clients.